It’s the 40th time a Questions & Answers post has gone live on this blog! We’re only 10 short of my goal for this year – 50 – and with 3 months left before Xmas, I’m sure we’ll reach it! Thanks for all the questions you have sent in and please – keep them coming! 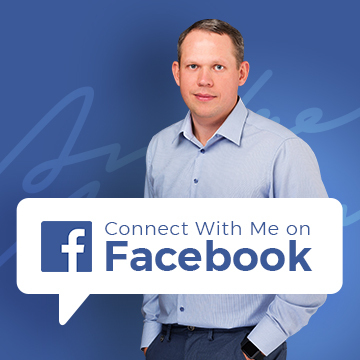 All you have to do is send your message via my contact form on this page and I’ll get back to you within 24h max, Monday-Friday. How to spot a scam once you’ve placed an order? Can you import patented un-branded products from China? How to deliver imported goods from the port to your address? How to connect all your email addresses to one Gmail account? How can eBay sellers make any profit selling £0.99 items with FREE P&P? What’s the best way to register an eBay business when in a full time job? Can you start importing with just £1000? I placed an order with a Chinese supplier from the website unite-elec.com. He seemed very professional and legitimate and provided pictures of all the products. However since the order the costs keep pilling up! First customs clearance on his side, which I thought was unusual, and then having to pay insurance before it can be cleared through customs and now brand taxes. In total these charges have been in excess of £800. What should I do? I have refused as yet to pay the brand tax as I now feel like I am getting scammed. I initially used bank transfer and then western union for the most recent payment. Unfortunately you have been scammed, 100% – no doubt about it! You’ll NEVER see any of the products you ordered or your money again. Sorry to bring you this sad news but that’s how it is. You should really have spent more time researching typical scams to avoid a situation like this. You could have easily avoided this loss by reading these two guides. You made a classic mistake of trying to order BRANDED goods from China, which is a BIG no-no! Prices are also way too good to be true on that website. I am looking to import some fitness equipment from china as a new business. I believe some of the items I am interested in are unbranded versions of patented equipment. Should I avoid these items or is there a way around this? No, not really – there’s no way around importing patented items, even if it’s an un-branded version of the product. Patented means that the patent holder has exclusive rights to the product/design/technology (based on the patent details) and without their permission you simply can’t import and re-sell these items. You can of course check whether the patent covers UK as sometimes a patent is only registered in USA or say Australia. In cases like these, you could try and sell these products but it is still very risky doing that as the patent owner could register the patent in the UK as well and then you’re in trouble – left with stock that you cannot legally re-sell. So in general, I always recommend staying away from patented items, unless you buy a license from the patent holder of course. Loving your website and finding lots of useful information. I have been dealing with orders from China for a few years but have recently identified a product I want to bring in via a container. I have discussed the price and agreed that and am going to use one of the inspection companies you have recommended for peace of mind. My question is, what do I do on our end? When the item is delivered to the port, what company do I use to get it from the port to my premises? Can I unload the container at the dock myself? Basically, when the goods arrive in the UK you will be contacted by the shipping company who carried your shipment and they will inform you about the next steps – e.g. whether they need any further documentation to clear goods through customs, plus you’ll of course have to pay import duty, VAT, port fees, agent fees and any other charges. As these fees can add up quickly, I would strongly recommend that you use your own freight forwarding company for this shipment and get a “door to door” quote. This way you’ll know exactly how much you’ll have to pay when your goods arrive and will avoid costly mistakes/delays which can further increase your costs. I personally recommend Woodland Global for this as they’re very affordable and have weekly shipments from China. Lastly, once your shipment leaves China, make sure you apply for an EORI number (if you don’t already have one) so you have it ready when your goods arrive in the UK. Otherwise this will delay the customs clearance procedure by at least 2-3 days, which again will increase your costs (port/warehouse fees). I have a question for you regarding the signature in my emails. I am using RoundCube Webmail client for my business emails but I seem to be having a problem creating a signature. I have just created a very nice signature for my Gmail client without any problems but I just can’t seem to create a decent signature using RoundCube. I think it’s because it doesn’t properly support HTML or something else along those lines. Maybe you have some experience with RoundCube and you could please advise me? Also I recall reading somewhere on your blog that you synochronised your Gmail account with your webmail so that you can reply directly from Gmail. How are you managing those emails though? Also I read that if you did that, your Gmail address will show when you reply so do you think that maybe looks a bit unprofessional. I would really appreciate any information or links you have which would help me create a nice email signature. Unfortunately I don’t have any experience with RoundCube or any of the similar web email programs that come with CPanel. I find them very slow, outdated and hard to work with. So yes, I use Gmail for all my email accounts (+ help desk systems, which is a different story). With Gmail you can simply add your email account AND also make it look like you’re sending emails from the original email account, so people DON’T see your Gmail address. Take a look at some YouTube videos and online tutorials about how to add emails to Gmail via IMAP/POP3. It’s actually very basic stuff – you can probably figure it out on your own! Just go to Settings in Gmail and click on Accounts & Import. There you can add mail boxes to get mail from as well as set-up “Send Mail As” accounts to hide your Gmail address when replying to these emails. How is anyone able to sell an item for £0.99 and offer FREE POSTAGE for an item that measures about 45cm x 35cm x 16cm and weighs 70g when £0.99 doesn’t even cover the procurement cost from manufacturers? I just started out on eBay and this is driving me bonkers. What makes you assume they’re making any profit on that item/listing? £0.99 listings are usually just used to get rid of old stock, increase feedback rate, or get more customers to the store in the hope that they buy something else. The only time these are profitable is when multiple items are bought in one order, e.g. 2, 3 or more. Then there’s a chance that they make some profit. But in general, these are loss leaders that don’t make any profit at all. Just bought EAB a few days ago and can’t stop watching, a lot of good stuff in there. I’ve been selling my used stuff on eBay for years now, and I’ve accumulated a lot of good feedback. The reason I want to start a business now is not because I want to make a proper living out of it (at least not just yet), but mostly because I enjoy it and want to make an extra few hundred quid every month to pay the bills. 1. Before even starting the business I want to know if it’ll be worth it, tax-wise. I’m already employed and my salary at the moment is just under the 40% tax band, however my next promotion, which is coming in the next year, will put me in the higher tax band. Just so I get this right, to get my TOTAL income do I have to add my business profits to my GROSS salary or only taxable salary i.e. after deducting pension salary sacrifice, childcare vouchers etc.? Would it be a wise idea to register my wife, who is currently unemployed, with HMRC and run the business myself to avoid my profits being taxed at higher rates? I’m very determined to make all this work but registering as a LTD company and having to deal with accountants seems like too much work and expense. 2. I can only sacrifice around a £1000 to start with and that is inclusive of any freight forwarders fees, import taxes etc. The idea of importing from China is very attractive, especially after having done some research on Terapeak as I’ve found 2-3 products that I think could sell well. The thing is, it seems to me that with my budget I can only afford to buy one, maybe two different items to sell. How feasible is this kind of business idea and how will I create and brand a shop that will initially only sell vegetable slicers for example, but which might later evolve into something more broad? That’s all I can think of at the moment, I’m sure there will be more questions down the road! 1) If you’re already approaching the 40% limit with your current employment, you definitely want to look for alternatives as paying 40% tax on eBay business profits simply won’t be worth your time. So you basically have two options – register a Ltd. company OR as you already said – simply ask your wife to register as a sole trader and be the official owner of your new business. I would recommend the 2nd option, at least for now, as it will be so much easier compared to doing all the paper work for a Ltd. company. Once you grow your business and can afford to use an accountant’s services, you can switch to a Ltd. company. 2) You can start importing with a budget of £1000, if you find cheap/suitable products. 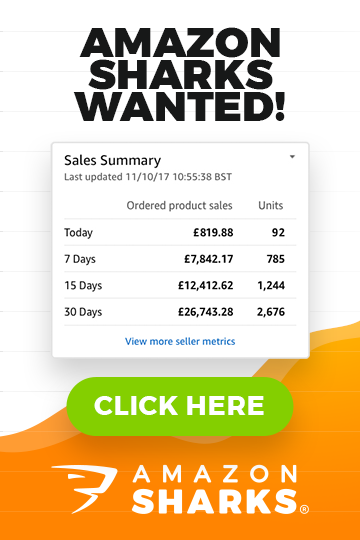 If you don’t have a clear niche strategy in place, I would simply recommend you do an All in One/General eBay shop, which pretty much allows you to sell any products you want. This is perfectly fine on eBay and if you make it look right, it won’t be a problem. Later on, when you have added more products to your stock, you can narrow down a specific niche you want to work in long term, and build your own online shop etc. (yes, you’ll need to re-brand at that stage but that’s a small price to pay considering the benefits). Or if you want to leave this as a hobby, I can’t see any reason why you can’t just keep running a General eBay shop, selling all kinds of profitable products, without a specific niche. I hope these questions and answers were interesting and valuable to some of you. At the end of the day, that is why I do these Questions & Answers posts – so that more people can learn from the advice I give to people via my help desk. Next week we’ll start off on Monday with a guide on Importing Kids’ Toys, which will follow this week’s post on children’s clothing regulations. For Wednesday, we’ll have a super interesting guide/LIVE experiment about the best eBay sniper tools. So stay tuned for more & enjoy your weekend! Just need a little advice please. I’m looking to order from china, I have done plenty research etc on the company, I’ve worked out my import tax which was 2.7% vat at 20% shipping to get my final total. Now as this is my first order from overseas, I’m just confused on the shipping part with lots different codes. Like FOB, CPT, CFR, CIF, DDU, DDP an EXP I have used the web page as you suggested and looked all these up. As this is my first time am I right in using DDP? Which includes charges freigh, insurance, tax and delivered to destination (my home address) ??? I’ve checked an don’t require import license. I want to make sure everything is 100% and done correctly. As I’m not sure how I pay the tex and import charges myself? Do I get a document from the company or do I have to contact customs myself? This I ask for future reference. They have asked for 30% deposit and the rest upon shipment too. I hope this makes sense I’ve tried working this out for nearly a week an my brain is frazzled!! When you are in talks with suppliers, always go with the FOB price so there are no extra/hidden costs for you in China. And then just work out shipping/insurance/delivery to your door via freight forwarding company (Woodland Global for example). They will pick up goods in China, deliver to UK, clear customs and deliver to your door. It’s called door to door service.